In recent years, consideration for bedroom space has often trumped other factors, like look or price. 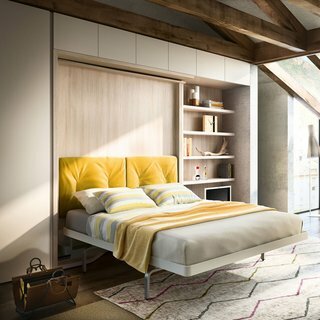 After all, people living in small spaces don’t have room for the king-size bed of their dreams—even a full-size bed may be too much of a space hog. That’s why people have become interested in transforming furniture, particularly with beds that are both spacious and collapsible. A couch—upholstered by local firm Revive Upholstery & Design—slides out on hidden casters and transforms into a full-size bed (with the headboard doubling as a linen cupboard) where guests can sleep. 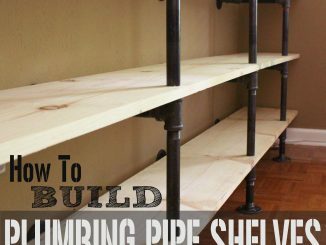 The dining table tucks under a shelf when it’s not pulled out for meals. 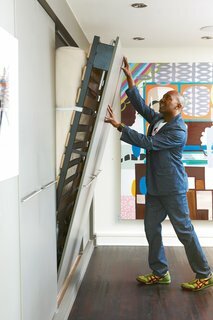 There’s even vertical storage for canvases for this Portland couple’s teenage daughter. The two kinds of popular beds in this category—sofa and wall (also known as a Murphy bed)—present potential buyers with a choice that can be difficult to make. 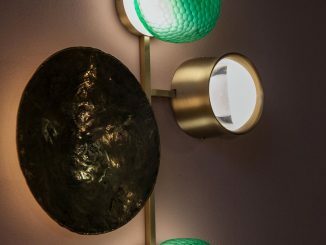 The two have different styles, which is why those interested in transforming furniture should weigh the pros and cons of both before making a purchase. Comparing them side by side is the best way to do that, so size and usability are thoroughly documented before being moved into the home. 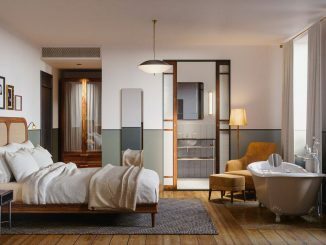 A Murphy bed in this guest bedroom sits behind Montague’s desk, allowing the compact room to function comfortably for working and sleeping at different times. It’s made with customized millwork, Häfele bed hardware, and an Ikea mattress. When it’s open, it reveals hidden shelving. 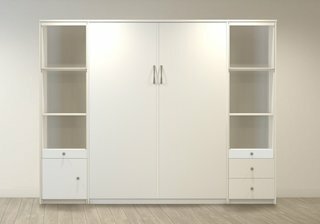 So, what do people take away when they begin to research the differences between sofa beds and wall beds? 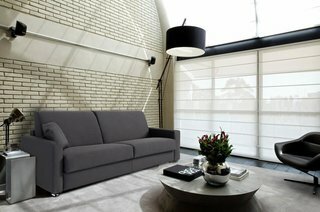 First, the sofa bed is a classic look, especially for young people and those living in small spaces. When people think of beds as transforming furniture, the pull-out couch is typically the first thing that comes to mind. It will work wonderfully for people living in a place like a studio apartment, where space prevents both a bed and a couch. However, not everyone wants the look of having a couch in their bedroom. In this great room, a Splendor sofa bed by Innovation, an Eames Wire Base Elliptical table, and an Eames Wire Base Low table sit atop a Tufenkian rug from Dover Rug & Home near a #11 dining table by Skovby. Additionally, some people may need extra support for their back or neck, and sofa beds typically have thinner mattresses, so it’s easy to fold them up and into the couch. Anyone who has specific concerns when it comes to their mattress in terms of support should always test out a sofa bed before buying one. If you’re buying online, make sure you read the reviews and be aware of their return policy. With wall beds, the mattress doesn’t have to bend, so each bed can come with a thicker mattress than a sofa bed. They still have to be thin enough to disappear into the furniture they come in, though. People interested in shopping online should compare the measurements to their available space. Pezzan Breeze Sleeper Sofa: Sleeper sofas are best for people who live in small places like studio apartments. They offer functionality and don’t make the user compromise on space. It’s a good starter sofa because the fabric is easily washable and it easily comes apart into a well-reviewed bed. It also comes with a throw pillow and mattress, so extra money won’t be required to make the $1,800 product work once it’s moved into the home. 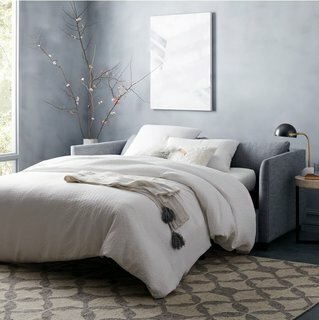 West Elm Shelter Queen Sleeper Sofa: Another great feature of sleeper sofas is that they can be made in sleek designs, which means they won’t show any bulky support legs or mattress lining. One that does this exact thing is the Shelter Queen Sleeper Sofa from West Elm. It has a straight-line design and multiple fabrics to choose from, which is why the cost averages around the $2,000 range. In the item description, there’s also a guide to choosing sleeper sofas if users want to make sure they’re buying the right product. 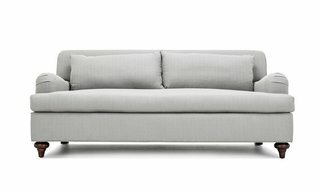 Clad Home Whittier Sofa: Most sleeper sofas will come in larger sizes, because they have to fit not only room for people to sleep but also for people to sit when the mattress is folded in. However, there are still options like the $1,800 Whittier sofa. 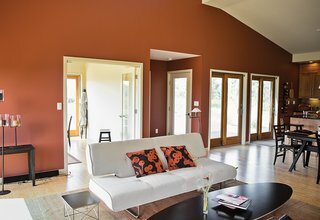 With sizes ranging from twin to queen, it can fit in nearly any sized living space. It also has stylish support legs and a rounded look to the edges of the sofa. 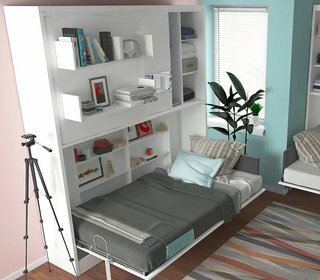 Resource Furniture Queen-Size Wall Beds: The other option is to have a bed that can disappear into the wall without being used as a couch once it’s done. There are multiple kinds of wall beds to choose from depending on the company, and because these beds are in such demand, Resource Furniture provides customers with designs that include storage as well as a high level of comfort for each custom order. 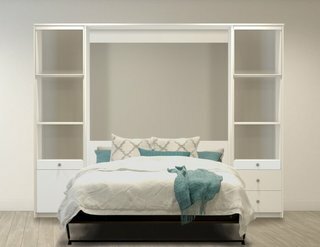 Twin Murphy Wall Bed: Don’t need a bed as big as a full-size or queen? 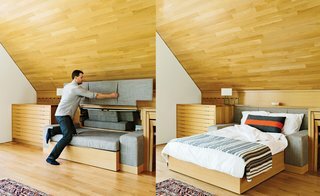 Wall beds have plenty of twin options, too. This Parete Letto twin wall bed from Murphy retails for just under $3,700 from Wayfair. 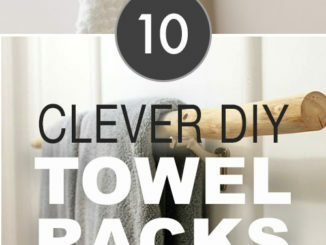 Its storage-friendly hardware makes it ideal for anyone living in a small apartment or otherwise lacking space. Its clean and simple design means that it will seamlessly mesh with your other furniture, regardless of your style. The Murphy Californian: Wall beds can also be a great solution for families and homeowners. Murphy offers a variety of customizable frames and hardware, so you can make sure the storage space surrounding your wall bed meets your needs. Beds like the Californian have both shelves and drawers, and when the bed is folded up, it can look as thin as a bookcase. The entire seamlessly designed furniture piece starts out at just over $3,000. When it comes down to it, making the choice between a sofa and wall bed is all about comfort. Users should make their decision based on what’s going to help them sleep through the night. After all, having a piece of trendy furniture may look good for awhile, but won’t feel great once sleepless nights begin.